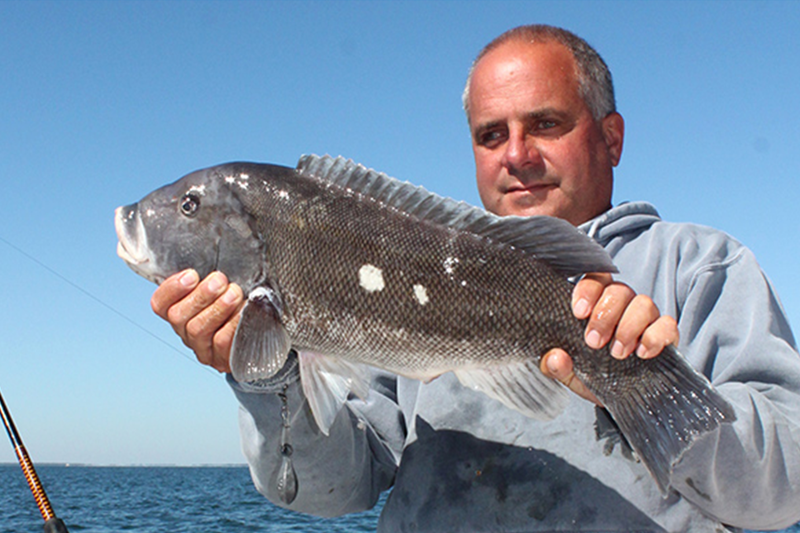 A bottom fish that lives in, on or near structure such as jetties, piers, rock clusters, wrecks, ledges and mussel beds. Feeds on all mollusks, shrimp, worms, crabs. Split season April through December, with no fishing during the spawning months of June and July. Average size three to seven pounds. Local record is 21 pounds at Seal Rock Ledge of Newport. Visit RI DEM’s website for up-to-date regulations.